Will your Bear become the most 'Well travelled Bear' ? and win !!! the UK, then why don't you take a photo of the 'NSE BEAR' with the 'Station Platform Sign' in shot to confirm the location where taken. it can be purchased from our 'Merchandise Shop' for £14 inc P&P. They can also be purchased on the Event Stand for £10. 31 October 2018, with the winner announced in November 2018. Simply complete the 'Competition Form' below for a chance to WIN !! Please upload a photo for your bear here. 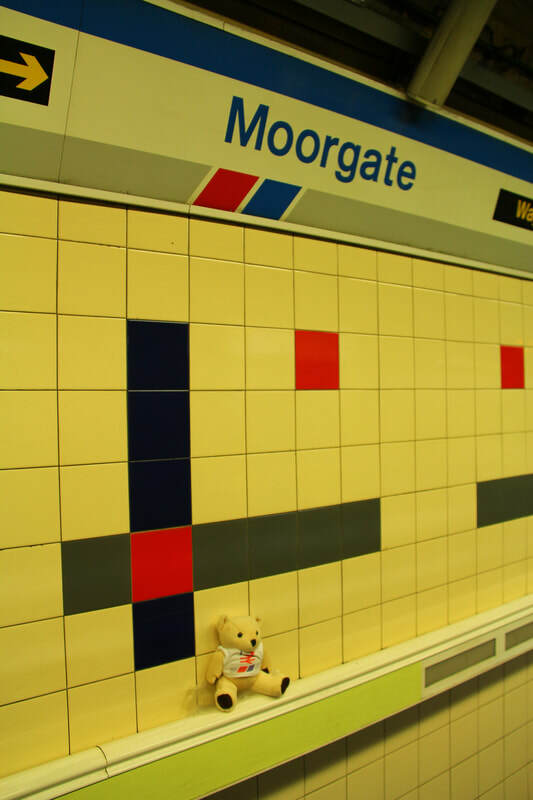 'Turby' at Moorgate. Taken by Adam Head. 'Turby' at Braintree. Taken by Adam Head. Normal NSERS competition rules apply and the Chairmans decision is final.